Exuding the sparkle and purity of true love, this expertly crafted diamond halo ring mesmerizes you with its aesthetic charm. The split shank's artistic curves infuse their distinctive character to the design and are partially adorned with lab grown diamonds for a heightened visual appeal. These eco-friendly gems also form a halo around the glorious prong set diamond solitaire that is nestled in the heart of the ring. 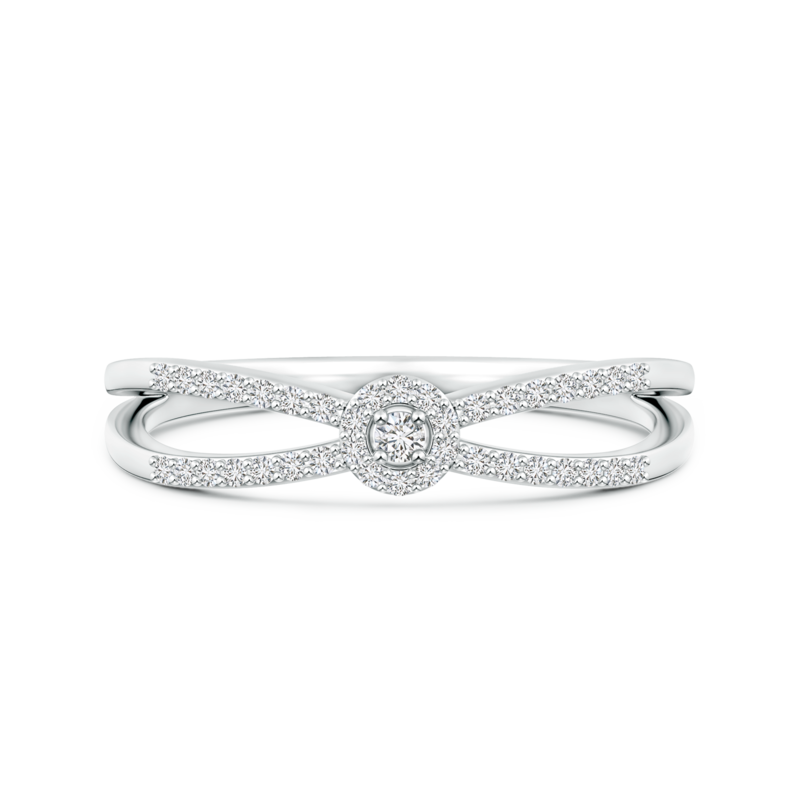 An ethereal beauty made from 14k white gold, this ring is a perfect way to make your promise of a future together.